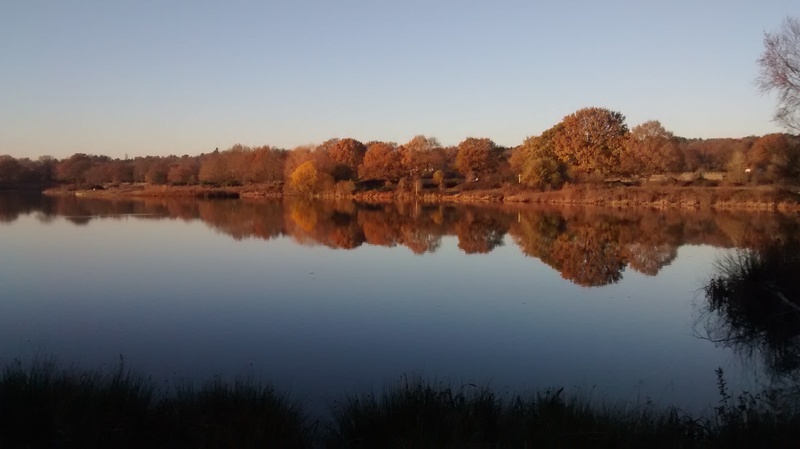 Dusk at Moor Green Lakes can be very pretty, and this week was no exception with the orange-infused lake reflections. Also some of our cattle wandered along to say hello, including this friendly Belted Galloway with it’s distinctive curly coat and round teddy-bear ears. 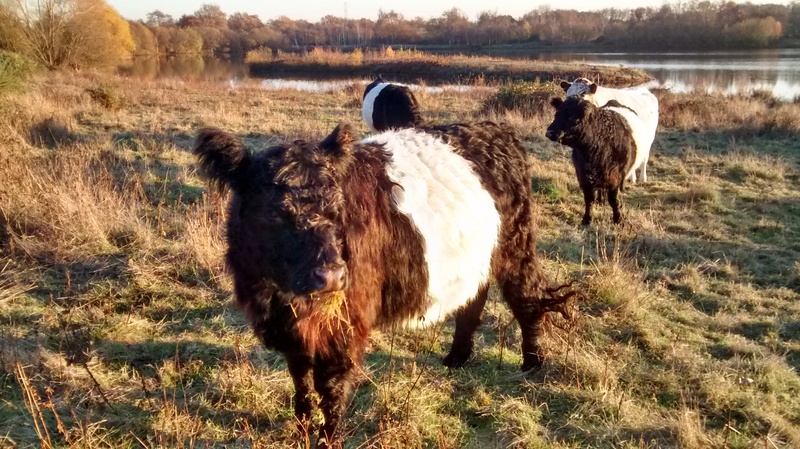 This entry was posted in Moor Green Lakes, Wildlife and tagged cattle, Moor Green Lakes, wildlife. Bookmark the permalink.